3 days for samples, 2-4 weeks for bulk orders. 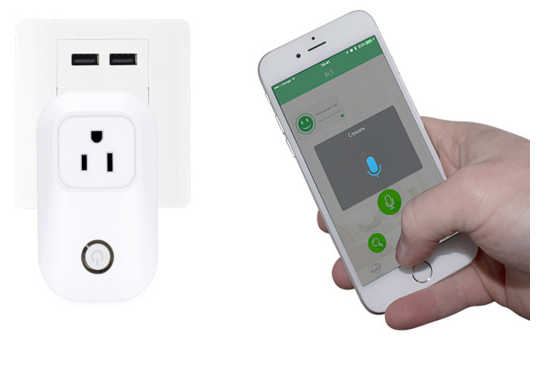 ETMars Socket is a smart socket based on Bluetooth 4.0 Low Energy Technology, simply plug it into any outlet at home, download our ETMars application to control the socket through smart phone, that means you can indirectly control the various housing facilities and household appliances connected on the socket, which can reduce the user's cost and difficulty, also it can improve the user's operating pleasure and acceptance. 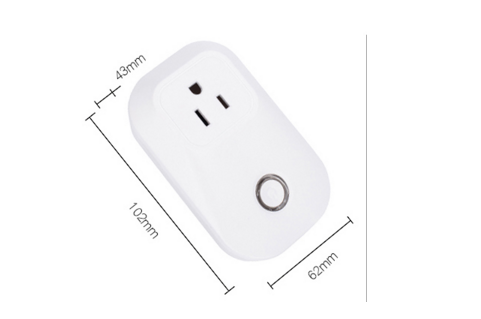 1.LED indicator, socket will flash red light when under disconnect mode. Red light is on when socket turn on, red light is off when socket turn off. 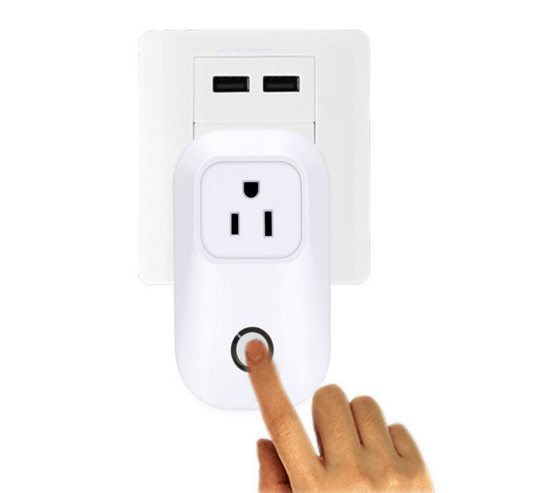 2.Turn on/off button, press button to turn on/off socket. 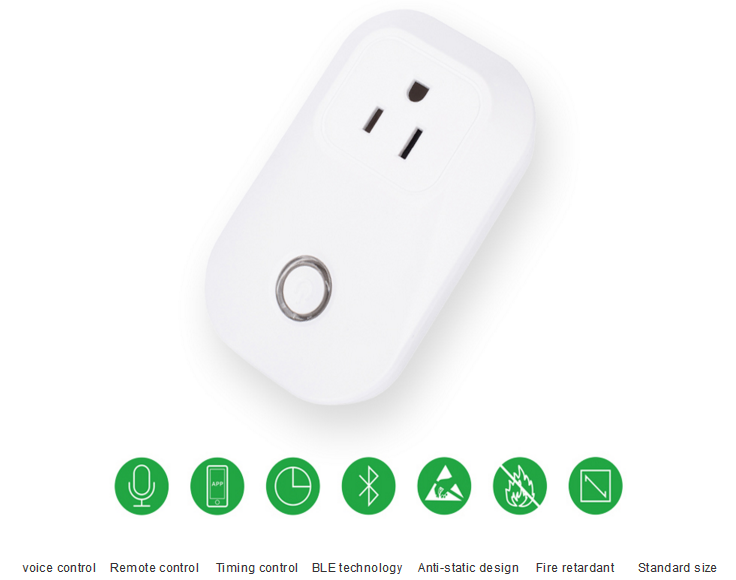 3.ETMars adopts Ergonomic design, it can avoid electronic shock when plug in/out the plug. 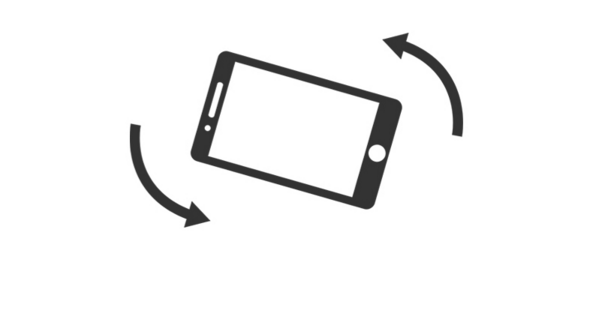 4.Adopt high shell splinter, support 100 million times plug in and plug out. A "obedient" socket, your right-hand housekeeper! Voice control,just a word can easily control it. 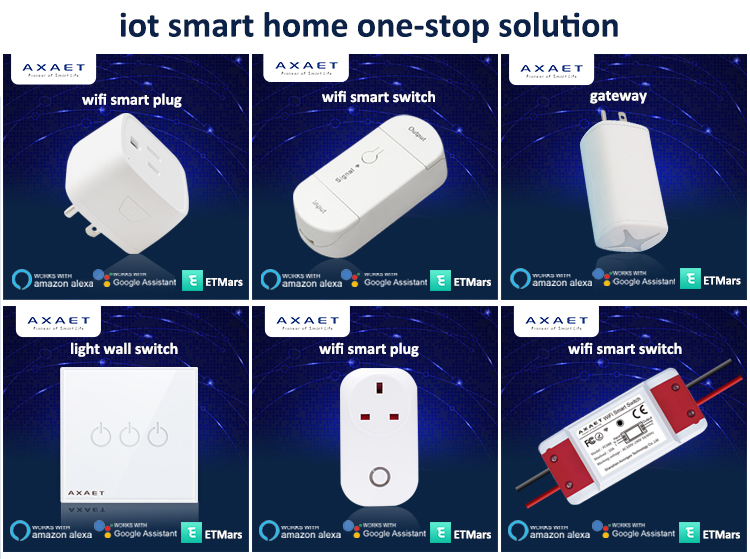 Lay in my warm bed in cold winter, i don`t want to move any feet, who can help me turn off light?Owning it ,and getting reasons for laze, you don`t have to out of bed just talk to it, smart socket will obey you immediately. 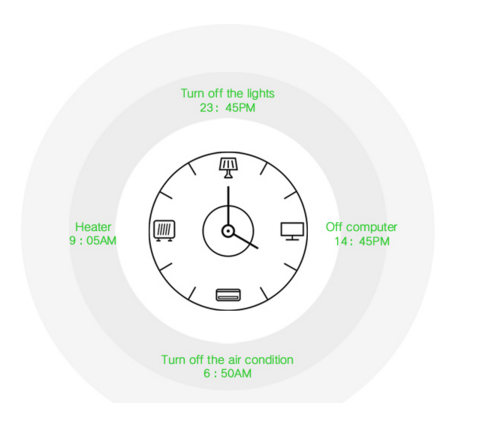 Energy - saving, safety, convenience,intelligence, fashion let your life become smart. The use of pc flame retardant materials can effectivelyto prevent the leak, prevents static electricity. 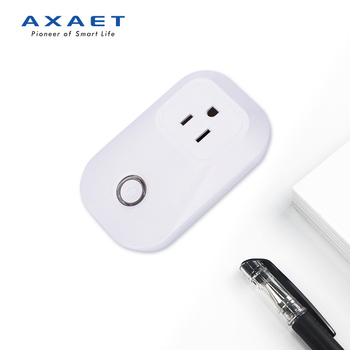 to effectively prevent excessive charging, to increase the service life of electrical equipment and batteries. 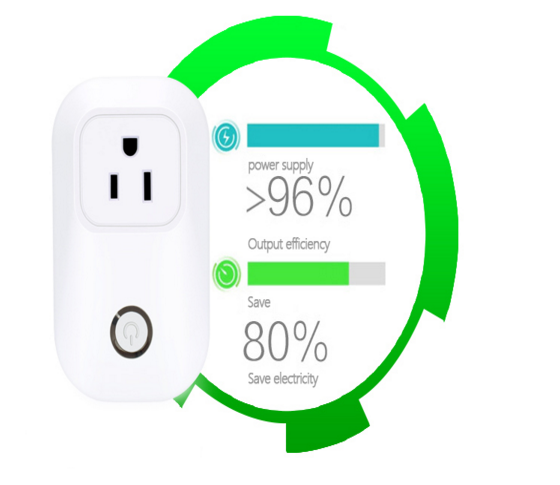 Save energy, low carbon, the effect of save power is better than WIFI smart socket. High suitable for various occasions. Likes to take it home! 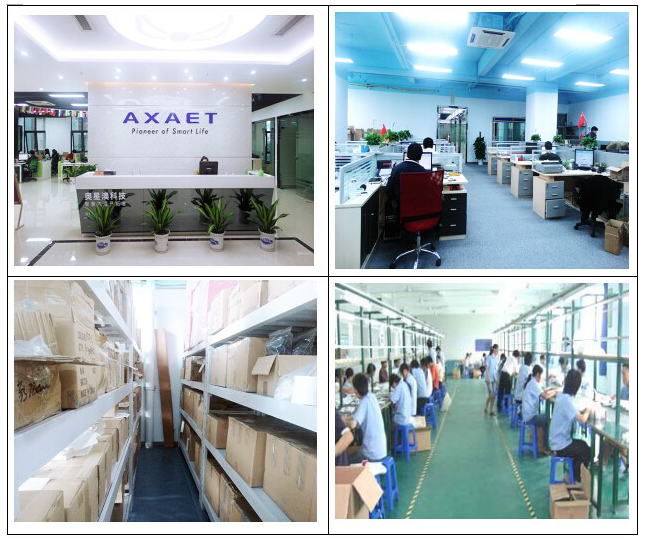 Shenzhen Axaet Technology CO.,Ltd was established in 2009 and is the important partner of CSR,member of the Bluetooth SIG, Shenzhen Chamber of Commerce and Alibaba gold supplier.We focus on designing, developing,manufacturing and selling Bluetooth Beacon,keyfinder,Smart switch and so on.Our factory was Certified with IS09001 and BSCI, we have a Highly qualified experienced professional team,insisting on R&D by ourselves and concentrate on personality product design by“from the supermarket”theory, We spare no efforts in providing practical and easy-to-use products .Now our Bluetooth device like iBeacon,Eddystone,Bluetooth anti-lost alarm,Smart switch and Smart socket are in hot sale. 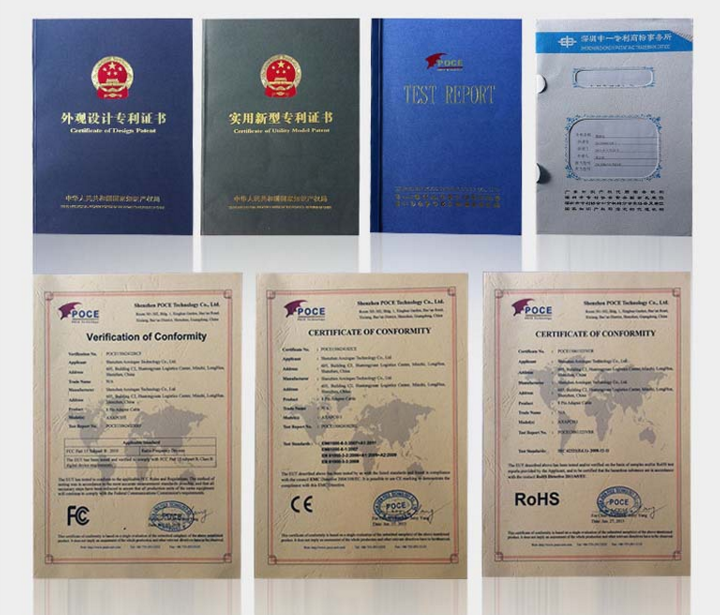 All of our products are Patented and have CE,FCC,ROHS ,BQB certification to serve rest of the world . ALDI (Germany}, JW(England), CDP(Spain), MIZCO(America) are our long term business partners.